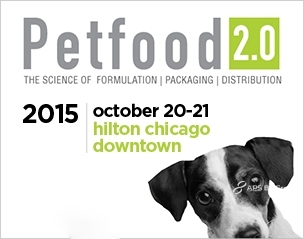 Come visit us at Booth # 512 at Petfood & Animal Nutrition Show, Chicago, October 20-21, 2015. Petfood & Animal Nutrition 2.0 is a trade show offering cutting-edge scientific innovation and strategic educational opportunities, plus crucial networking that aids in forming mutually beneficial business relationships. Through premium content, we explore issues such as nutritional ingredients, formulation, regulation, market trends, distribution, packaging, profitability, sustainability and science.